What Does Your Leadership Look Like? A great deal of intelligent and credible research, and no doubt your own personal experience, highlights the fact that employee performance is often directly related to the leadership behavior demonstrated by their manager. So as a leader, what you do to set the example to your staff and what you promote through your behavior gets witnessed by your colleagues, peers and clients and therefore, is of the utmost importance. We use our Leadership Tools to help you identify and define the right kind of leadership that suits The Leader, The Team and The Role. This is quite a question, and even although they are inherently linked, if you don’t know the answer, if it’s not clearly defined and in total alignment to the role, then you have a problem which effects productivity, morale and profitability. We customize our tools to fit the role you want to demonstrate leadership in, or carry out management on. By doing so, we make the individual’s abilities match the requirements of the role. 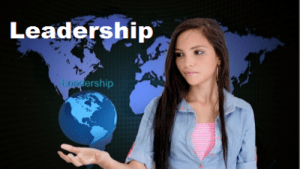 How Does Your Leadership Behave? Does The Success Of Your Leadership Stem From Being A Mirror Image Of What You Do And How You Demonstrate It? Or Are You Just Lucky To Have People That Are More Talented Than You? Sounds like tough questions, but it’s true. Being a great leader is rewarded when your team or employees emulate your desired behavior. If you create the right environment while demonstrating the right habits, there’s a very good chance that your success will be measured in more than just a salary! We use our Leadership Attributes Index to identify what leadership means to the individual and then identify with you a way to develop a leadership style that properly fits the role. Illuminate your leadership for all to see! There are seven key attributes that leaders possess over and above the normal set of skills. What we do is identify the levels of competence you have in these areas and help you develop the understanding of each category to the fullest. By doing so, you obtain reinforcement in the areas you already excel at, and in others, you develop to the level that the role or your needs require. It’s a process of exposure, learning and application. Genius Leadership Bootcamp is a two-day engagement, based upon the Advance Insight Profile (we call this the discovery process). The Genius Leadership program will give you tools for your career & life. The Leadership Attributes provide a deeper window into your abilities by analyzing your core attributes that reinforce excellent leadership: Envisioning an Outcome, Understanding your Supporters, Communicating a Vision, Serving Others, Inspiring Others, Guiding Others, and Developing Yourself. The High Performance Leadership Program is an extended engagement, delivered over multiple weeks in 3-hour modules. With a recovering economy, stiffer regulation and heightened competition, your organization needs exceptional leaders to drive performance and maintain a competitive advantage. The High Performance Leadership Program can help you develop the talent it takes to succeed−from the front line to the executive suite. Your organization needs innovative, collaborative, courageous leaders. Our High Performance Leadership Program will help you identify and build critical skills in your team as well as develop new attributes. As organizations prepare to compete in today’s ever changing and challenging environment, they understand that leadership is the most important theme in business training. Take a moment to think about the word “leadership.” What does it mean to you? For us as a company, it is a rich and significant word. It stirs up a sense of idealism, excitement, hope, and courage a word that inspires us to be our best. We normally associate leadership with the most influential people in history. However, it also conjures up memories of family members, teachers, coaches, and mentors who influenced us to reach our full potential. Leadership is exciting. Perhaps the most exciting element of leadership is the fact that everyone possesses the ability to lead. In this program, participants will learn that it is not necessary to change the world or become a household name in order to be a great leader. Being a great leader simply means having a positive influence on those around you. It allows you to create an organization founded on ideals by which others are encouraged to rise above mediocrity and perform at their best. Our objective in this program is for every participant to understand the foundational principles of leadership and practice them. It does not matter if you lead a staff of two or a nation of millions; the principles are still the same and can be learned. This program represents years of study that we have transformed into a basic set of skills and practices. We will present the latest principles of leadership to you. You must decide to what extent you want to grow and develop your abilities. If you have the desire, this program will present you with the tools to become a successful leader.